At the peak of vacation daydreaming season, our Winter 2017 box was extremely well received and offered a wide variety of items from all over the Outer Banks! 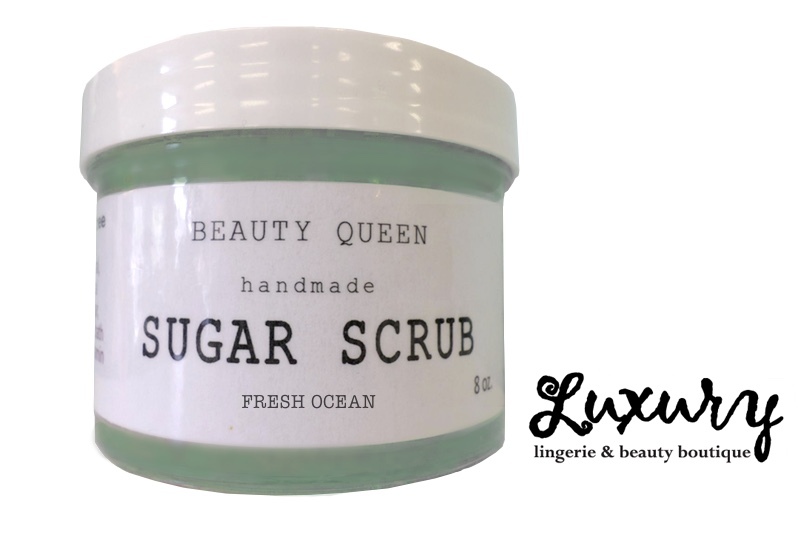 Perfect for seafaring sailors and mermaids alike, the sugar scrub by Luxury in Duck, NC is like a day at the spa for your hands! It exfoliates and hydrates at the same time plus will NOT leave your hands feeling oily or greasy. Besides this life-changing scrub, Luxury also features a one of a kind shopping experience for lingerie, sleepwear, bridal, and romantic gifts that you won’t find anywhere else on the Outer Banks! Make sure you stop and pay a visit on your next trip to the OBX… they’re located in the unique upper level store above Urban Cottage in the Scarborough Faire Shopping Center in Duck, NC. You can also shop online at LuxuryOBX.com. Returning for another appearance in the Outer Banks Box was a new spice mix from The Spice & Tea Exchange located in Duck, NC! The Onion Obsession mix is perfect for your favorite hearty winter recipes. It makes a great addition to chicken, pork, or beef cuts, plus a super easy dip mix! 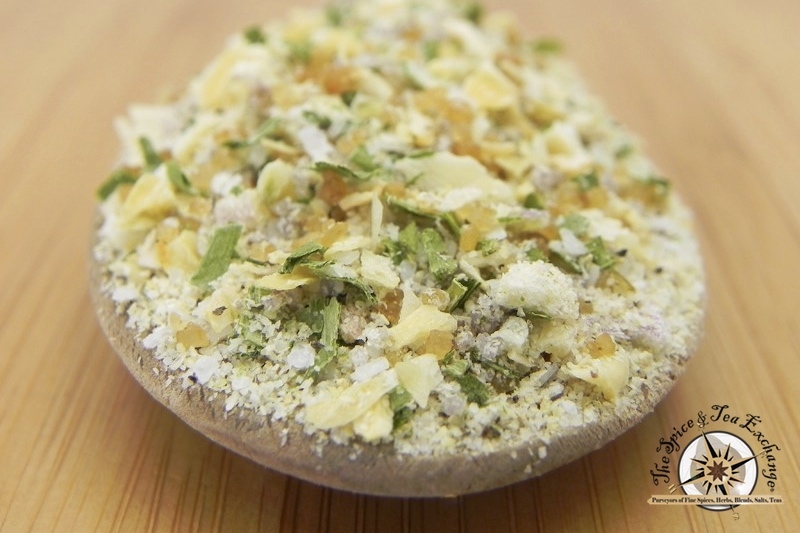 Our subscribers and readers get an EXCLUSIVE 10% OFF discount when you email your orders in to duck@spiceandtea.com! 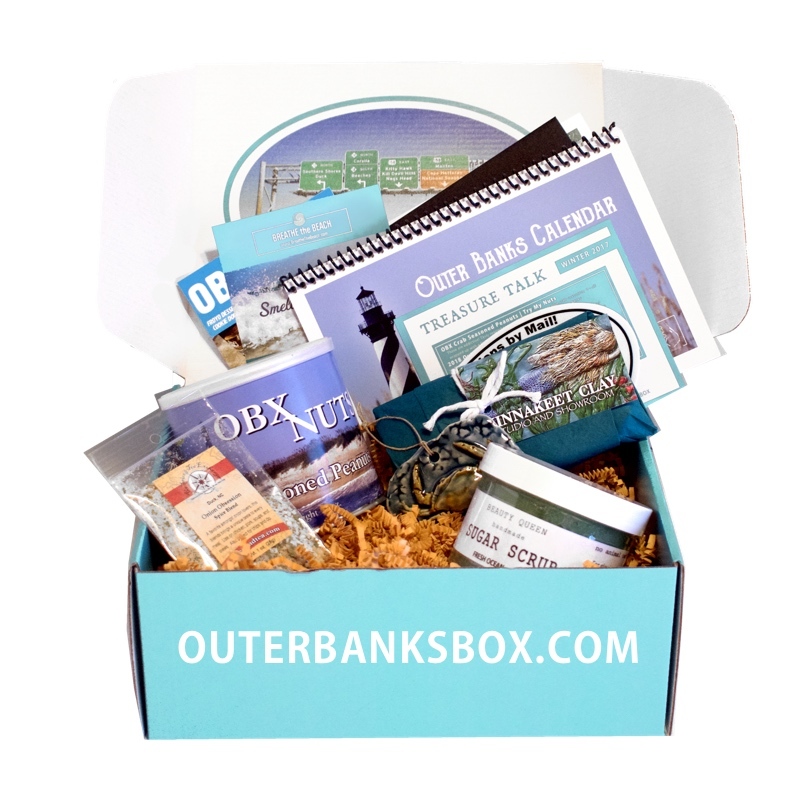 Go ahead and find your favorite spices and gifts online first and then make sure to send your order in via email and mention the Outer Banks Box for your discount! 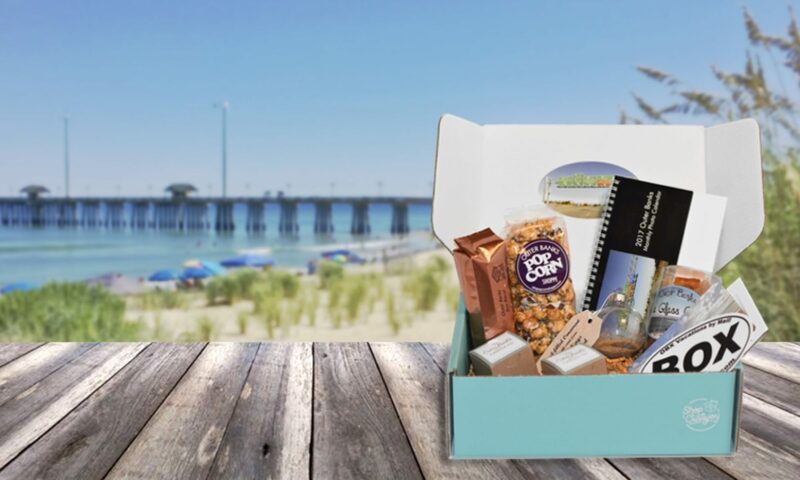 An OBX icon, we were thrilled to include delicious premium peanuts from Try My Nuts Nut Company in our winter box! 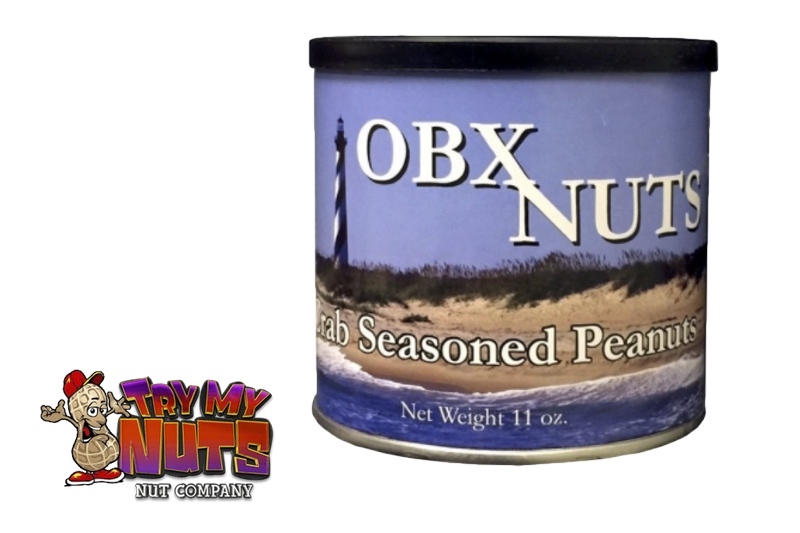 The “OBX Nuts” come in a tin wrapped with a very familiar beach scene. The tasty peanuts inside are flavored to perfection with a savory crab seasoning that will make you reminisce about your favorite Outer Banks vacation memories! Head over to TryMyNuts.com to find more varieties and flavors of gourmet nuts plus other fun treats and sweets! 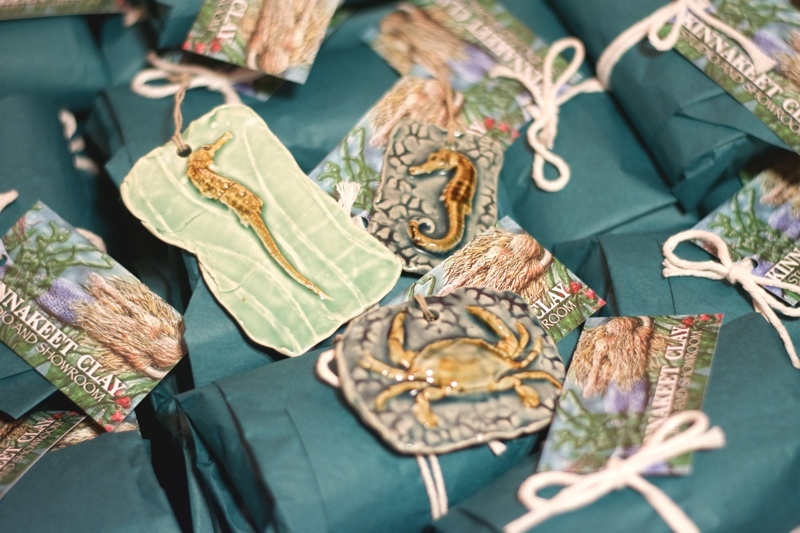 The perfect holiday gift, we teamed up with (the extremely talented) Antoinette at Kinnakeet Clay Studio and Showroom in Avon, NC to find these beautiful sea critter clay ornaments for our subscribers! The patterns were varied, and included seahorses, blue crabs, and a multi-shell pattern… PERFECT for lovers of the beach and anyone who holds the Outer Banks near and dear to their hearts. Besides her own items, Antionette’s showroom also features the works of many other talented potters. Make sure to check out Kinnakeet Clay’s Instagram for daily product photos and giveaways throughout the year! 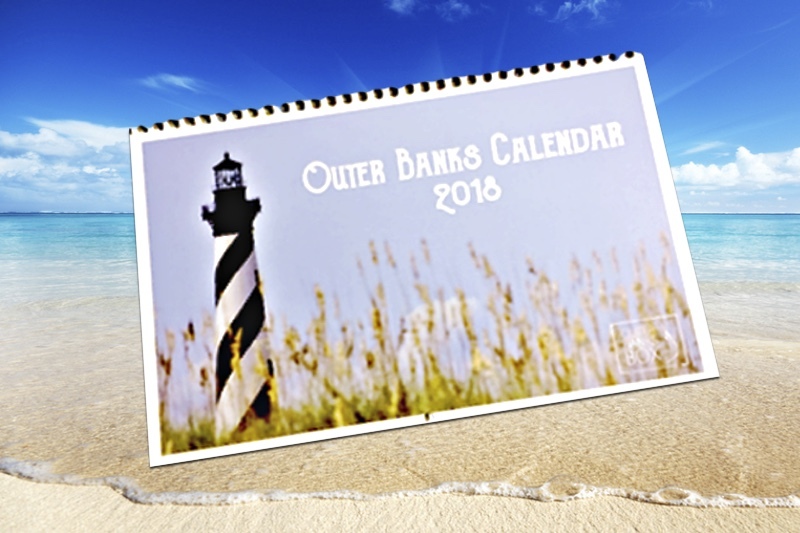 Last but not least, subscribers also received an exclusively produced wall calendar featuring thirteen photographs of the Outer Banks, submitted by fans in our Facebook Photo Contest! Fond memories are only a quick glance away! So, do you want to stay connected to the Outer Banks while you’re not on vacation? We can help! Order now to beat our deadline before our next box ships. As a reminder, boxes mail out at the end of the month in March, June, September, and December… a perfect surprise for the start of each season! You can get just one as a gift, pay box-to-box, or even pre-pay for multiple boxes and SAVE $$$!